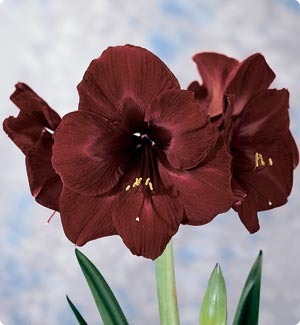 This is another of my favorite Amaryllis hybrids. Huge Burgundy Maroon Red flowers command attention even for a non gardener. These bulbs are imported from South Africa, this year so they are anxious to bloom from late November thru January. Allow about 5 weeks from planting to bloom. Next year they will readjust to the Northern hemisphere and will bloom later from February to May. This is a real show stopper 3 bulbs ship for same price as one. We have several other varieties we can combine in a single shipment All can ship in the same box. To our Central and West Coast customers, a medium flat rate box is the way to go as we can fit 10 possibly more bulbs in same box and this is $13.65 . This won't calculate on ebay correctly so we refund via paypal. Thanks, we are always mindful of shipping expense and strive to ship best and least expensive way possible. Usually weighed shipping is best, but not with these heavy bulbs in multiples. So if ebay shipping total is showing over 13.65 we will issue a refund as it does not calculate right, fore these heavy large bulbs. Bulbs are now ready to ship. Giraffe and Mixed are shipped immediately if not combined with these others These are also available at the garden center in Boynton. 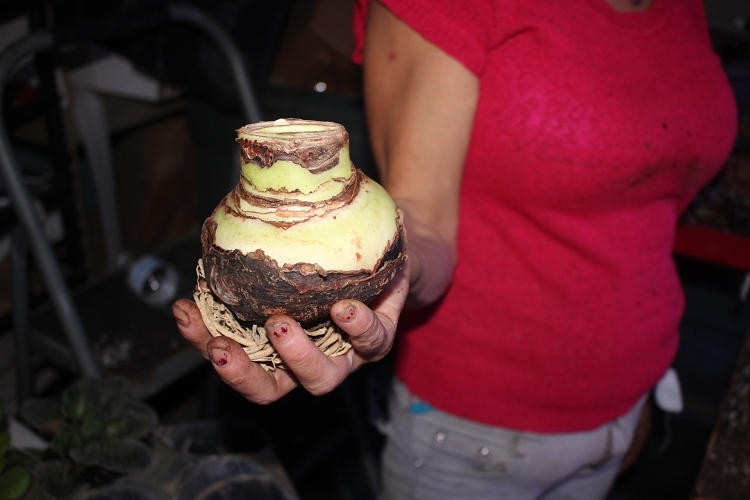 These are the Jumbo size bulbs that produce at least 3 stalks of flowers. They weigh over 1 lb! These are available NOW!! If regular priority mail calculate lower we will ship this method. These are shipped into us from South Africa.